The Electric Motor and engine Combine for one of the most reliable, fuel efficient, comfortable driving experiences. The Electric motor powers the Niro at low speeds and engine kicks in during high speeds and hill climbs. The Electric motor has 2 sources of charging. The first is the engine charges the Electric motors battery while at fixed speeds. The second is the regenerative braking system that uses the kinetic energy as a result of braking and converts it to energy that charges the battery. The 2018 Niro also gives you the opportunity to have a vehicle with all of the latest tech and safety systems such as Apple CarPlay® and Android AutoTM, Advanced Smart Cruise Control, Autonomous Emergency Braking, and Lane Keeping Assist. The Niro is a versatile, roomy, and fuel efficient crossover hybrid and the clear front runner in its class. 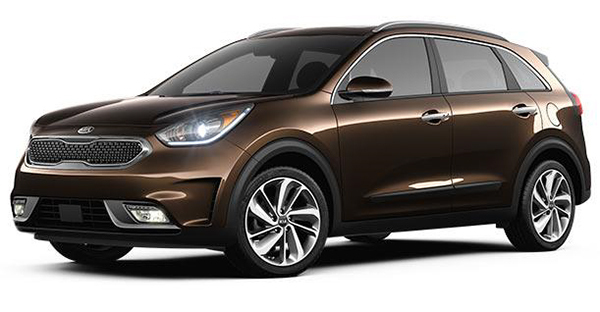 Check out the 2018 Niro today at Orillia Kia!